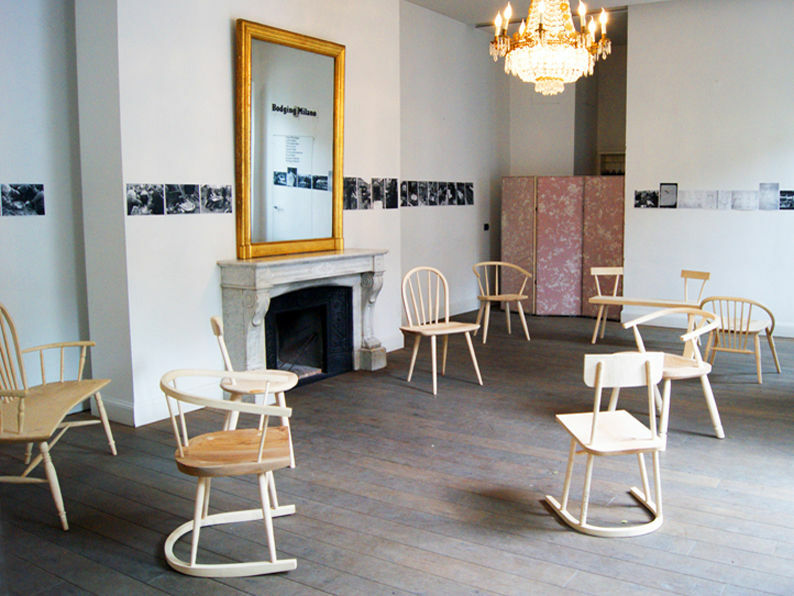 After designing a Windsor-type chair in 2009, I became more interested in the history of this type of chair and its construction. 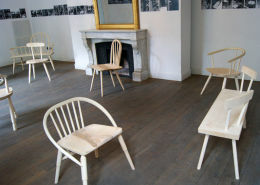 ‘Windsor’ denotes a chair in which the legs and the back spindles are all jointed into a solid seat, in fact the chair gains its strength from this method of construction because the ‘wet’ seat contracts as it dries out and tightens around the ‘dry’ legs and spindles. 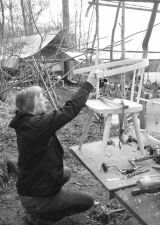 Wishing to research this, I discovered Gudrun Leitz, greenwood chairmaker, and co-owner of Clissett Wood in Herefordshire. 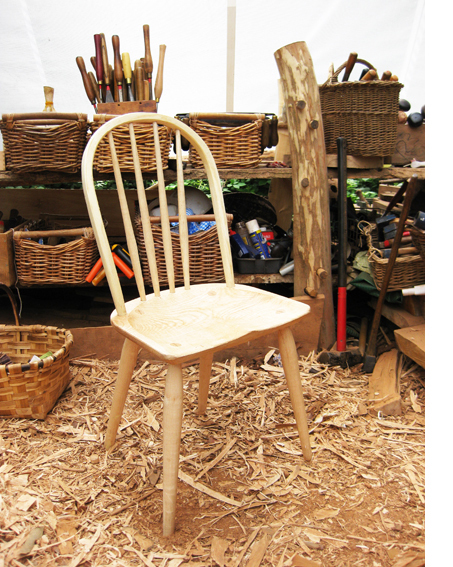 The wood takes its name from Philip Clissett, the Victorian country chairmaker who was discovered by Ernest Gimson of Arts & Crafts Movement fame. 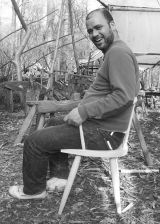 Clissett, who lived nearby, is reputed to have made a chair a day, and to have been a cheerful soul who whistled while he worked. Arriving in Bosbury I found that very little had changed in over a hundred years; I had stumbled upon a country idyll ! 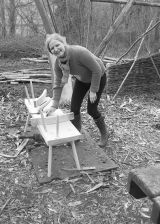 During a week in the woods I learned the ancient craft of bodging (photo, left) as greenwood chairmaking is known, and enjoyed this so much - it seemed such a valuable experience - that I returned the following April with a group of friends from the world of contemporary furniture design. 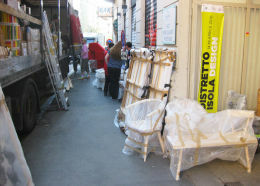 Almost before they were completed the chairs we made that second week (group photo, below) were loaded onto a van and, at the invitation of Rory Dodd from Designersblock, were driven over to Milan, where they were exhibited at the Salone del Mobile 2010. Thus was Bodging Milano born. Gareth Neal, and Carl Clerkin. Back home however, this sudden interest in rural crafts appeared to some people who knew me as a sideways, or possibly a retrograde move. It was as if I had suddenly taken up macramé or lace-making or some activity alien to the modern world. Craftwork, it seems, can in some circles be seen as an undemanding leisure activity for the middle classes, either that or a hippie throwback to the pre-industrial age. But this uninformed comment made me think about what is the use of craft in the modern world. 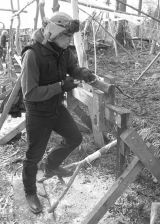 Why work with hand tools in a cold muddy forest, when the job can be done so much more efficiently by machines in a well-equipped workshop? The answer for me lies not so much with the romantic authenticity of the craft world, as with its hands-on immediacy. Making by hand is the same as drawing by hand; every little nuance in the process is alive and is immediately felt. The element of risk is always present, as the material and the tool try an take you in one direction, and you attempt to impose your will in another with continual and infinitesimal corrections. The ad hoc nature of working outdoors reinforces this. That was in 2010. 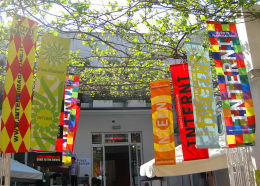 From what we thought was a one-off project, Bodging Milano has developed a life of its own, generating an increasingly wide range of experimental activities. Firstly Dave Green invited the group to develop their ideas at his factory near Coventry (Cov-Bodge); we then were given an exhibition in the Ministerial offices of the Department of Culture, Media and Sport; next we put on an event at the V&A (The Fantastic Broomstick Bodge) where we got members of the public making chairs; later on William Warren and I came up with The Great Windsor Chair Race for the Contemporary Craft Festival in Devon; and many more events followed. 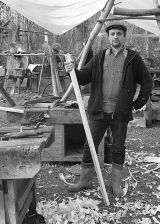 In 2012 William Warren set up a project whereby some of the team created new designs for Lloyd Loom of Spalding (The Lloyd Loom Elves); Gareth Neal got on his bike back to Herefordshire In pursuit of Carbon Negative; and the great Japanese chairmaker Koji Katsuragi came over to join us for Bodging Milano 2 where, again under the expert guidance of Gudrun Leitz, Rory Dodd and I invited a second group of designers to make chairs in the woods.